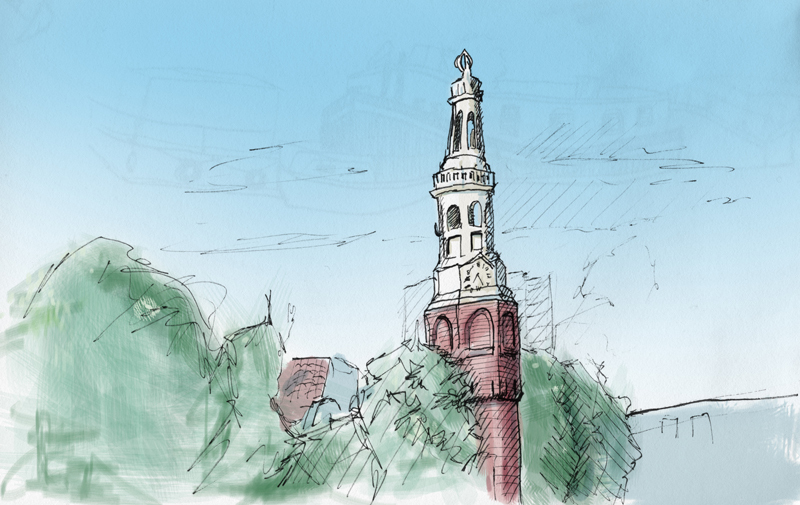 Quick sketch of "crazy jack" in Amsterdam. The watchtower gets its name from the clock in the upper part of the tower. It couldn't keep the right time so the townspeople started calling it Crazy Jack.